As it turns out we can in fact do exactly that.Â This article walks you through the technologies that make this possible and shows how it is entirely feasible today to build interoperable web applications that provide a great user experience no matter what brand of browser the user is running. If you happen to be one of the two or so people who have not heard about Instagram then you might be pleased to hear that it is a hugely popular photo sharing and social networking service that allows you to take pictures, apply interesting digital filters on them and share them with the world.Â The service became so popular that it was acquired by Facebook for a bag full of cash and stock in April of 2012. 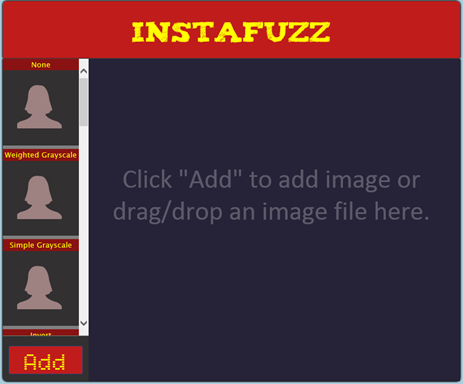 InstaFuzz is the name of the app I put together and while I donâ€™t expect to be acquired by Facebook or anybody else for a billion green it does, however, make the case that an app such as this one can be built using only standards compliant web technologies such as Canvas, File API, Drag/Drop, Web Workers, ES5 and CSS3 and still manage to run well on modern browsers such as Internet Explorer 10, Google Chrome and Firefox.Â And you could easily use the code to build a Windows Store app too. 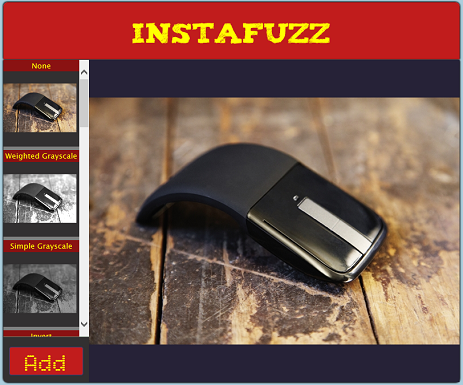 Letâ€™s next take a look at how the UI layout has been put together. As you can tell from the HTML markup, all the filter preview boxes feature a CANVAS tag, as does the big box on the right where the final output is rendered.Â Weâ€™ll go into a bit more detail later on in the article as to how canvas technology is used to achieve these effects. 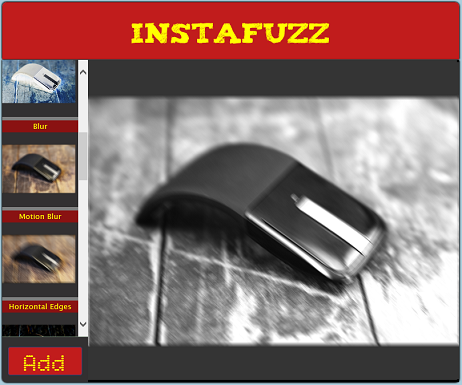 This is made possible using the CSS3 box-shadow rule and hereâ€™s how itâ€™s used in InstaFuzz. One can specify multiple shadow values separated by comma as in fact has been done above.Â Note that Iâ€™ve also specified the shadow using vendor prefix syntax for Firefox and Chrome/Safari using the moz and webkit prefixes.Â This causes the shadow to continue to work in versions of those browsers where support for this capability was provided using the vendor prefixed version of the rule.Â Note that the W3C version of the rule â€“ box-shadow â€“ is specified last.Â This is done deliberately to ensure that in case the browser supports both the forms then only the W3C behavior is actually applied to the page. Use vendor prefixed versions of CSS rules by all means but remember to specify the rule for all supported browsers and not just the one that you happen to be testing the page in (if youâ€™re using Visual Studio to edit your CSS then you might be interested in the supremely excellent extension for Visual Studio called Web Essentials that makes the job of managing vendor prefixes about as simple as it can possibly get). Remember to order the occurrence of the rules so that the W3C version shows up last.Â This is to allow clients that support both the vendor prefixed version and the W3C version to use the W3C specified semantics for the rule. Thatâ€™s all for now.Â In the next and final article in this series, weâ€™ll take a look at how the app supports drag/drop of files, the use of File API, how the filters themselves work and how we prevent the UI thread from freezing by delegating the core number crunching work to web workers.